The disposal site currently forms part of the wider Tesco car park which is now deemed to be surplus to requirements. The site is level and regular in shape. 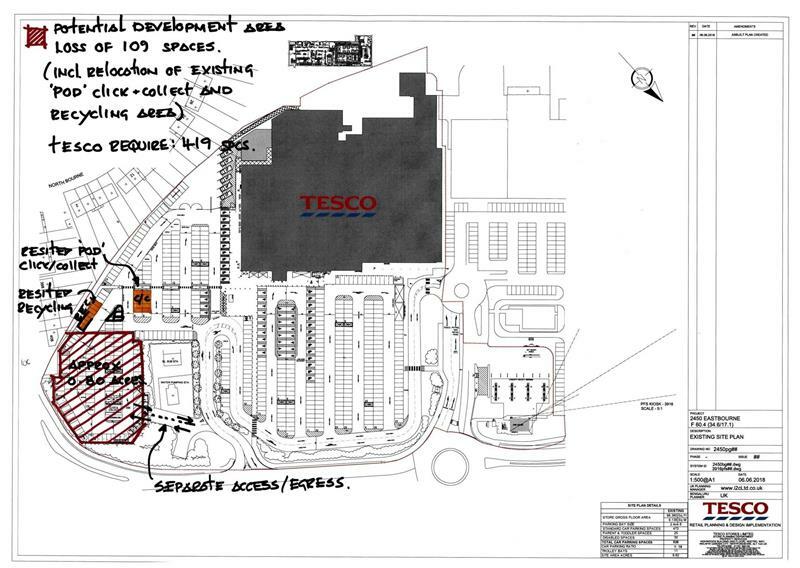 Access is from the main Tesco entrance however; there is potential to self contain the site by utilising an existing ingress road off the main Tesco access road. 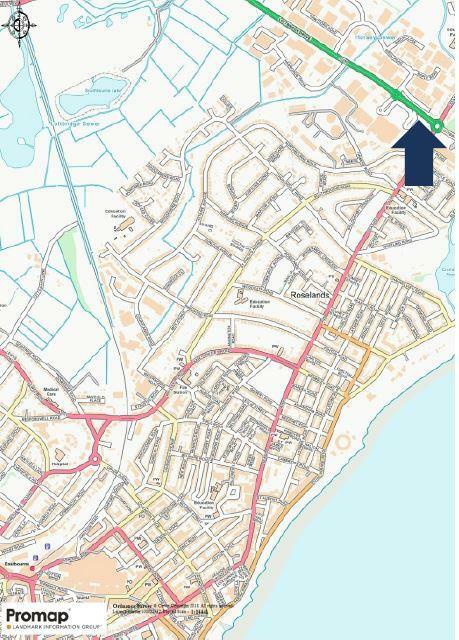 The site is accessible from the A22/A2290 road network, and is equidistant between Eastbourne and Hampden Park train stations, which are approximately 2 miles from the site. The site is extremely prominent with frontage directly onto the seaside roundabout. The site is situated within Flood Zone 3. Any interested parties are to make their own enquiries with the Local Planning Authority, Eastbourne Borough Council (01323 410000). 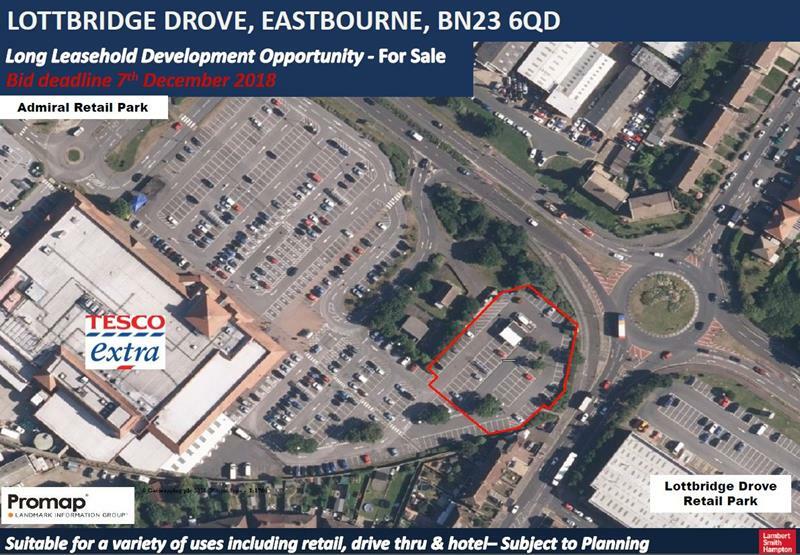 Any planning application is to include the relocation of the existing Click and Collect pod and recycling area as well as the necessary reconfiguration of the car park. Offers invited on both a conditional and unconditional basis for the sale of a new 125 year lease at a peppercorn rent. Please be advised that the tender date is set for 7th December 2018. All offers must be submitted by 12 noon, a bid submission request email will be sent prior to this date. Eastbourne is a popular seaside town situated on the South Coast, midway between Brighton and Hastings.Just north of Eastbourne Harbour, the subject site is located on Lottbridge Drove, an established retail destination on St Anthony's Hill, just outside Eastbourne town centre. The site is situated on the south eastern side of a 98,000 sq ft Tesco Extra, close to Admiral Retail Park and Lottbridge Drove Retail Park.Admiral Retail Park hosts a strong line up of occupiers including Homebase, Argos, Pets at Home, McDonalds, Wickes, Pizza Hut and Hobbycraft.The Range, Oak Furniture Land, Carpetright and KFC are all located on the nearby Lottbridge Drove Retail Park. The site currently forms part of a trading Tesco store and therefore can be viewed without prior appointment. Each party shall be responsible for its own legal costs arising from the property transaction.